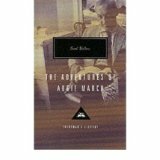 In the introduction to my edition, Martin Amis decides that this is ‘the great American novel’. Sorry, but in my mind that title goes to Heller‘s Catch 22. So, what, didn’t I like about this novel? I persevered because I wanted to see how it ended up, but it just petered out, maybe resolved because the eponymous character had finally got married. But I wasn’t convinced by that. It’s a bildungsroman, but I couldn’t really work up any interest in any of the characters for large parts of the story. There were a lot of dreadful, rich people in Gatsby mode who went for each other like rats in a sack, leading existences totally divorced from reality on Planet Earth, and which rather furthered my picture of the United States being a strange place inhabited by stranger people. I think the idea of the American Dream is an interesting one to explore, rather hackneyed now, though perhaps less so in the 1950s, so I can’t blame Bellow for that. But the idea that anyone can, through their own efforts, rise to the top of the pile, is responsible for some of the worst excesses in our world; it hardly furthers human happiness, except fleetingly for a few, perhaps. Bellow’s use of English (American?) 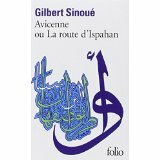 was interesting at times; some of his description, especially when accretive, verged on the poetic, and I liked it a lot. But I was overpowered by the pancake erudition, dozens of references to all sorts of classical and historical and political figures and ideas spread out before the reader in a very show-off fashion, and, to my mind, totally unconvincing in the mouth of the first-person narrator. I’m glad I read the novel, but I won’t be spending any more eyeball-time on him. 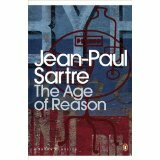 My copy tells me it’s nearly forty years since I last read this novel. As I began re-reading, I found it a little superficial, although I was hooked as soon as a small detail, which either I’d forgotten, or never really taken on board all those years ago, loomed larger: the hero, Larry, was deeply affected by his experiences during the First World War, and this explained the quest and the entire direction his subsequent life took. Another bildungsroman, which I suppose is why I felt it had such a great influence on me in my teenage years – someone going out to explore life, seek meaning and understanding, and, more importantly, finding contentment. Larry turns his back on conventional American paths, and drifts or travels, ultimately ending up in India and finding his understanding of the world through Hindu philosophy, before returning to the US to live his life as an ordinary person. And serendipity… the time and the travels reminded me of the life and journey of my favourite travel writer, Ella Maillart, who travelled the world in the nineteen-thirties and forties, realising she was seeking something, and ultimately also ended up in India, finding spiritual rest there. Like many (male) students of my day, I was into Hermann Hesse, and his novels have been gathering dust on my shelves ever since, as I got on with life. A curious librivox recording of Siddartha brought me back to him – it seemed to have been translated and read by a group of people whose first language definitely wasn’t English – and I started to realise that there was a connection between then and now. 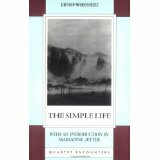 As a student I’d been thinking about what was the meaning and purpose of life, which many of Hesse’s fictions explore, and now that I’m retired and have time on my hands, I find myself contemplating the same questions, though from a different perspective. Siddartha seems to be exploring contentment and satisfaction with life; it’s necessary to spend time striving and seeking a purpose, but ultimately we need to find an acceptance of who we are/ have been as we realise that it all comes to an end somehow. My favourite years ago was always Narziss and Goldmund, and I came back to it after thirty years. It was still painful – in the emotional sense – to read of the friendship against the background of time and eternity, and the quest for meaning to life: how does a person leave even a trace of themselves behind, and why does this matter so much to us? Is it better to risk all in that quest, or settle for a fixed life of calm and contemplation? I thought about that in terms of my own life, and a relatively safe choice of being a teacher for nearly thirty years: there was always a job, a salary and the prospect of a pension. 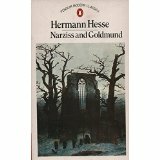 In the broader picture, I realised that Narziss and Goldmund is one of those novels that fall into the category of bildungsroman. 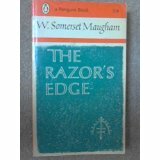 And immediately I recalled another from my student days – Somerset Maugham’s The Razor’s Edge. So that’s somewhere on the list, now.